NOT instant download. These are customized by me and emailed to you. Please leave name and event date at checkout for personalization! 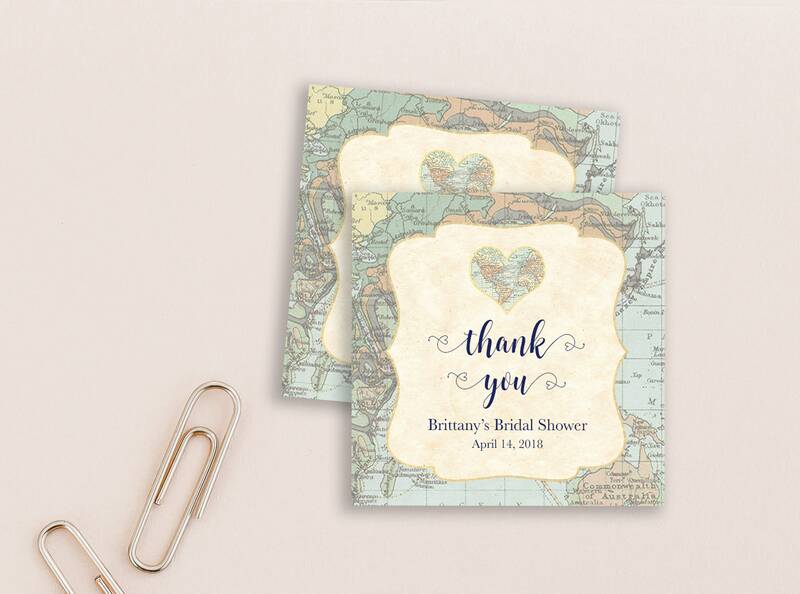 You will receive a PRINTABLE 2" square favor tags to match any of my invitation designs (I do not offer printed favor tags at this time). You will receive a proof to make sure everything looks ok, and you get three revisions. Once everything is approved, I will send you the final PDF with twelve (12) favor tags per page. These are NOT formatted to any specific label templates. You can print at home or take them to a print shop and have them professionally printed. I suggest printing on either matte or glossy sticker paper, cardstock (at least 100-lb), or matte card stock and then cutting/hole punching. This listing is for a printable digital file delivered by email. No physical product will be shipped to you.